As I posted earlier, I’ve been asked to write the Foreword to “Reiten Wir!” — an anthology of new short stories based on Karl May characters to be published in October as part of events and initiatives this year marking May’s 175th birthday. 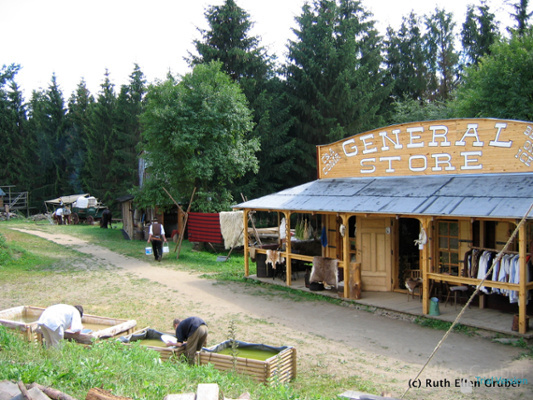 My first exposure to the Imaginary Wild West in Europe (and Karl May) dates back to 1966, when my family spent the summer in Prague — my father was leading an archaeological dig in the village of Bylany, near Kutna Hora, east of Prague. In preparation for writing my Foreword, I dug out the diary I kept that summer — and where I noted the Czech fascination with Winnetou and the Wild West. 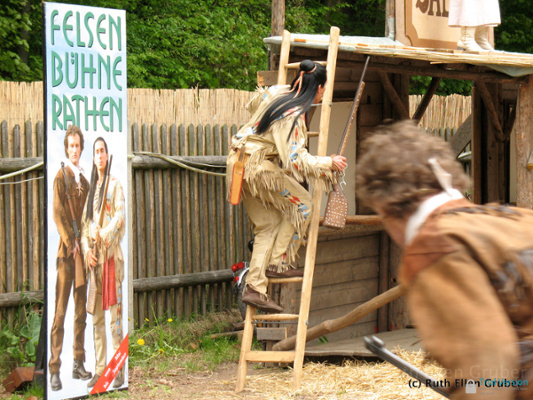 Later in the summer, I watched Winnetou, the movie, on television. I decided that Matuska would be my favorite singer and bought a picture postcard of him (which I still have) to go with the ones I bought of the French actor, Pierre Brice, who played Winnetou in the movies. Many years later, when I first started seriously researching the Imaginary Wild West and the European country music scene, I met Matuska, who was headlining of the first Czech country festivals I attended (in around 2004). Matuska was a towering figure in Czech popular music and culture and was instrumental in popularizing American folk and country music to the Czech audience. (Singing, as was required under communism, Czech lyrics to American songs.) 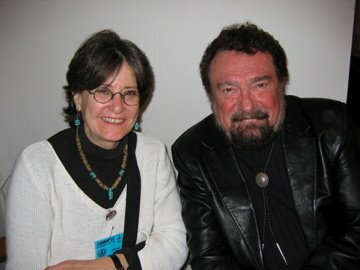 He also appeared in the seminal 1964 movie “Limonady Joe” — a wonderful send-up of the singing cowboy genre of movies and a classic of Czech cinema. When I actually met Matuska decades later, at the Strakonice Jamboree folk and bluegrass festival in the Czech Republic in 2004, it was a remarkably emotional experience. I had just begun following the European country scene, and Strakonice was my first Czech festival. And there he was — the idol of my youth! Matuska — who had “defected” to the United States in 1986 but, after the fall of communism, returned frequently to CZ to tour — was the headline act. Heavier, even bloated-looking, with clearly dyed hair, he didn’t look much like the slim, handsome singer/actor of the 1960s, but he had the audience in the palm of his hand. I went backstage and spent 20 minutes or so talking with him. I felt shy and fluttery! What I remember are his hands — very small and delicate, with polished nails and an almost dainty ring. 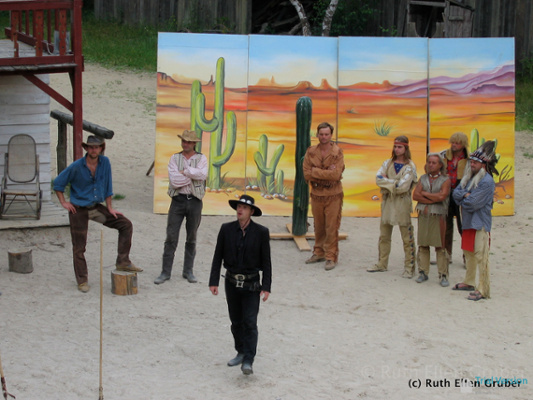 This entry was posted in Czech Republic, festivals, imaginary wild west, Karl May, sauerkrautcowboys by Administrator. Bookmark the permalink.